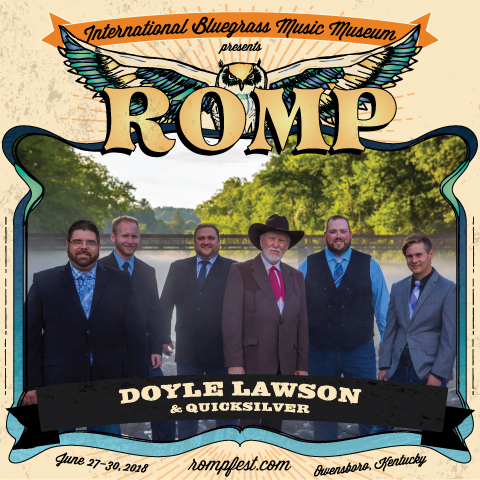 Born in 1944, near Kingsport, TN, Doyle Lawson has loved the sound of music from childhood. He could hardly wait for Saturday nights to listen to the Grand Ole Opry, and Bill Monroe, and Doyle decided that he wanted to play that kind of music. His family sang gospel music when he was young and Doyle acquired his love of quartet music early on. Doyle began playing mandolin when he was 11 years old, on a borrowed instrument. He mostly taught himself to play by listening to the radio, a few records, and watching the occasional TV show. Doyle played in bands with Jimmy Martin, J.D.Crowe, and the Country Gentlemen for more than 10 years and in 1979, he wanted to put together his own group so he formed Doyle Lawson & Quicksilver. That first group laid the foundation for what has become the Doyle Lawson & Quicksilver sound. Performing and recording both gospel and secular music has always been important to Doyle, and Doyle Lawson & Quicksilver have recorded nearly 40 cds. Many of those have been nominated for Grammy and Dove awards and the band has won numerous IBMA and SPBGMA awards over the years.